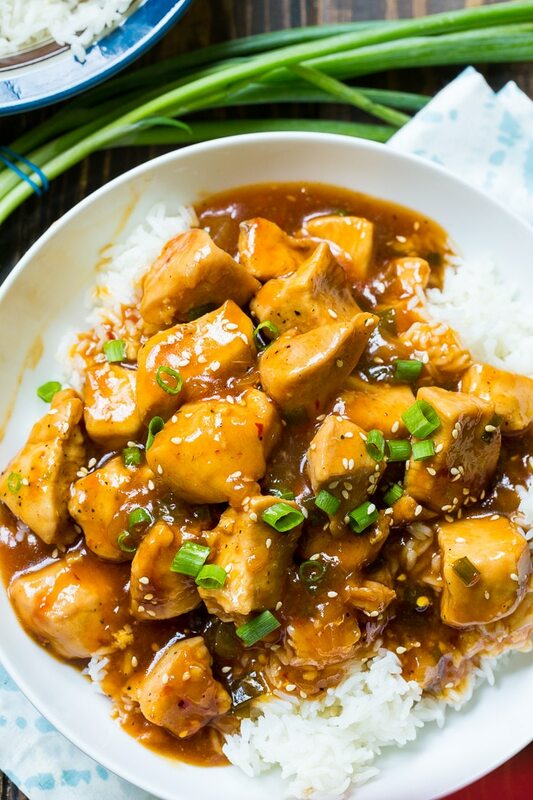 With this Instant Pot Honey Sesame Chicken recipe you can have a home-cooked meal that tastes just like your favorite Asian take-out. An Instant Pot makes this meal so quick and easy, melding so many flavors together in a short amount of time. Your kids will love the sweet and sticky sauce and you can adjust the amount of red pepper flakes to make it both sweet and spicy. 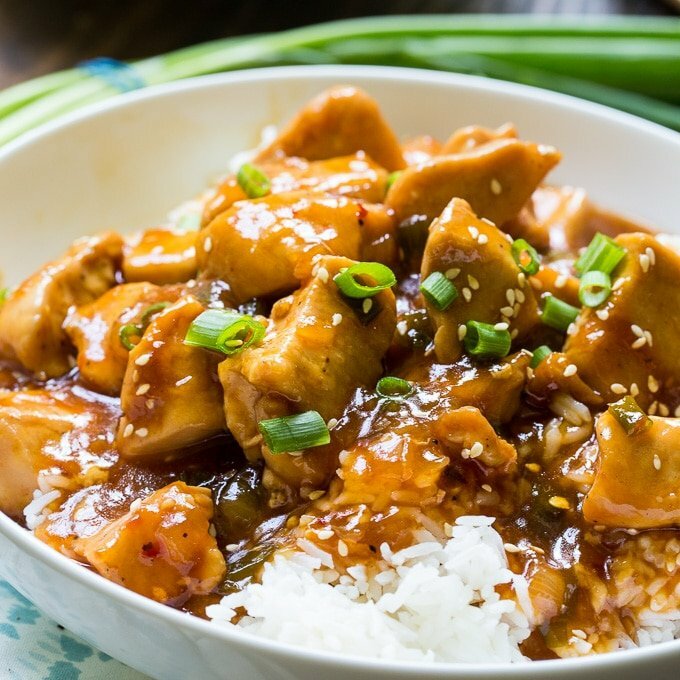 Bite-sized pieces of white chicken meat are cooked in a wonderfully flavored sauce made from ketchup, soy sauce, honey, and sesame oil, flavored with onion and garlic. 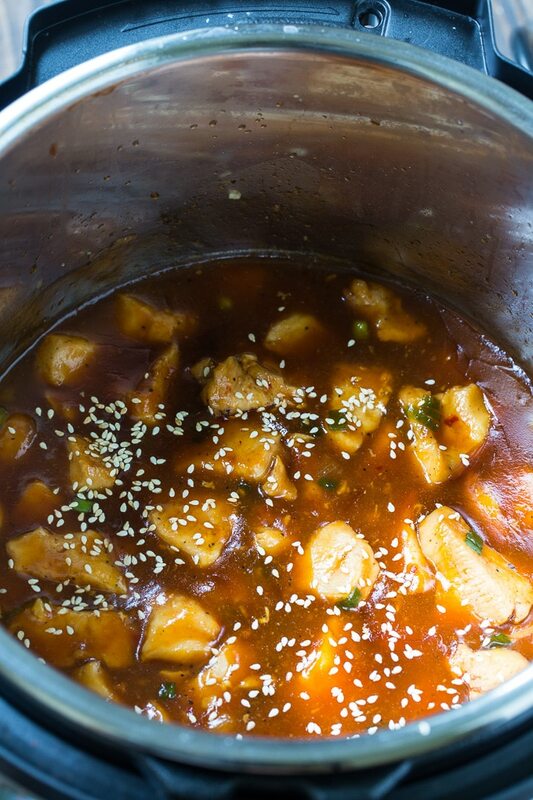 To make Instant Pot Honey Sesame Chicken, begin by sauteing some onion and garlic in the Instant Pot until soft. Add 4 diced chicken breasts, soy sauce, ketchup, and red pepper flakes. Pressure cook for just 3 minutes. 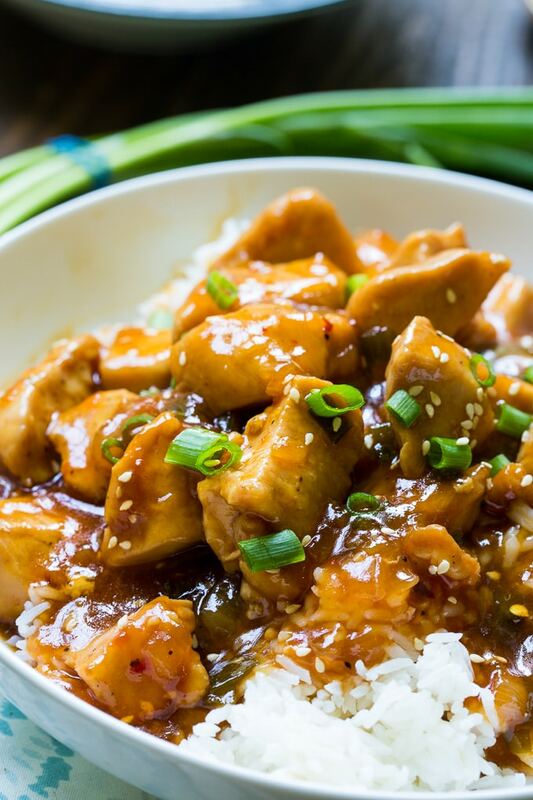 Diced white chicken meat cooks up super fast in a pressure cooker. Do a quick pressure release and add sesame oil, green onions, and honey plus a cornstarch slurry. Then turn the saute mode on to thicken the sauce. Serve over rice for an incredible family meal. Add oil to Instant Pot and turn on "Saute" mode. Add onion and garlic and cook until soft. Add chicken and stir well. Add soy sauce, ketchup, and red pepper flakes. Stir to mix and place lid on. Place valve in "sealing" position and set to Pressure Cook on HIGH for 3 minutes. Do a quick pressure release and carefully remove the lid once the pin drops. Stir in sesame oil, green onions and honey. In a small bowl, mix together cornstarch and water. Add to Instant Pot and stir to mix. Turn on "Saute " mode and cook until thickened. Cook time does not include the time it takes for the Instant Pot to come to pressure. 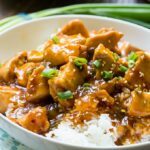 This entry was posted in Instant Pot and tagged chicken, Instant Pot, poultry. Bookmark the permalink. My dumb self forgot to dice the chicken but it still made really good chicken breasts. I scooped all the sauce on top of the breasts. Chicken was juicy and yummy along with the sauce. I made jasmine rice to go along with it and added sesame seeds to the entree. Can I use a crock pot instead? How long do you think I should set it for? Thanks.